Atlides halesus, or the Great purple hairstreak is a forest butterfly of North and Central America. Its wingspan is 3-5 cm. 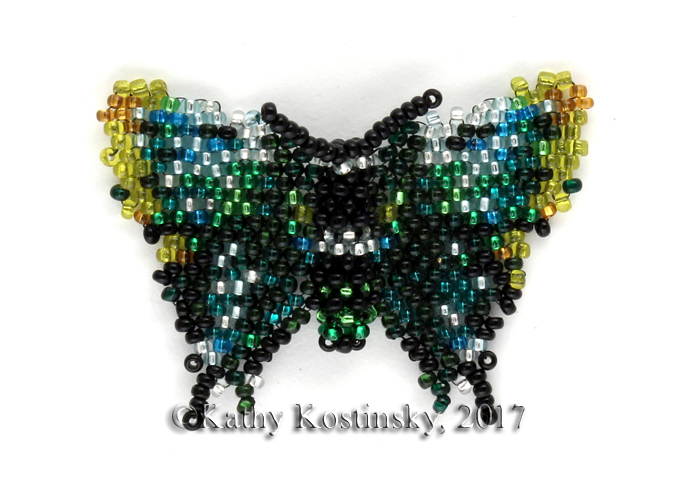 The wings sparkle with different shades of blue, green and purple, so in this bead butterfly the wings are coloured a bit differently to show the sparkling. The pattern includes a photo of the finished butterfly and 5 graphs showing the weaving of the wings, of the body and joining the wings and the body.